What will Theresa May be remembered for? • Tory Prime Ministers Benjamin Disraeli and Theresa May - centuries apart. Over Easter this year, I visited Hughenden Manor, an imposing Victorian mansion, located near High Wycombe, that was the country house of the Conservative Prime Minister, Benjamin Disraeli. 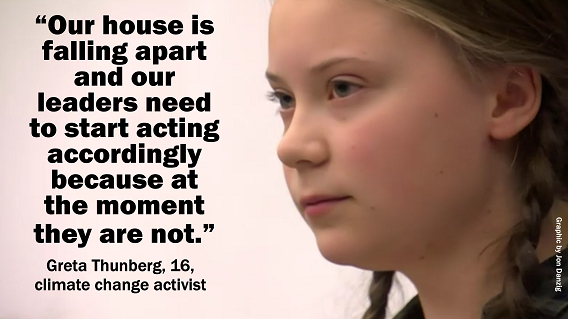 Those who don't think that 16-year-olds should have a vote, should listen to the powerful and awe inspiring speech by the 16-year-old climate change activist, Greta Thunberg. Outside the EU, we’ll only have a say in our country, and there will be barriers to trade with our most important customers and suppliers in the world. But inside the EU, we have a say in our country AND our continent, and enjoy NO barriers to trade with our most important customers and suppliers in the world (by far). Brexiters say we must have full sovereignty over Britain. Why would that be a good thing? The definition of sovereignty is ‘supreme power or authority’. Only one country in the world has that. North Korea. But whilst North Korea has cast iron sovereignty over its nation and people, in the outside world it has very little power, authority or influence. Indeed, North Korea is considered to be a pariah state, shunned and excluded by the outside world, and with tough sanctions imposed upon it. In the modern, rational, democratic world, countries recognise that sharing some sovereignty actually increases their power and strength….and sovereignty. NATO countries realise that in their promise to come to the immediate aid of another NATO country under attack. That’s a classic example of sharing power and sovereignty. Brexiters say that Britain was misled into thinking that the European Community was only ever about free trade. That, of course, is nonsense – which any cursory study of history will reveal. 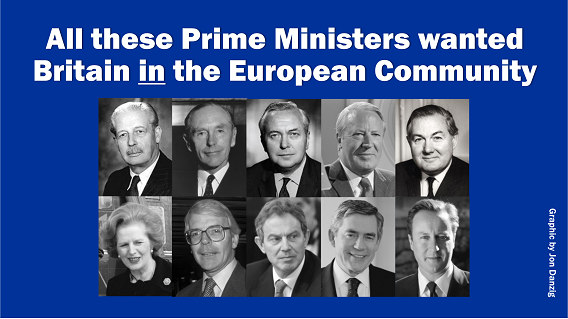 The European Economic Community (now called the European Union) was always about a Union of countries sharing some of their power, sovereignty and strength for the common good. Back in 1961, when Britain first applied to join the European Community, there was much talk about what impact joining would have on Britain’s sovereignty. “Accession to the Treaty of Rome would not involve a one-sided surrender of ‘sovereignty’ on our part, but a pooling of sovereignty by all concerned, mainly in economic and social fields. “The talk about loss of sovereignty becomes all the more meaningless when one remembers that practically every nation, including our own, has already been forced by the pressures of the modern world to abandon large areas of sovereignty and to realise that we are now all inter-dependent. “No country today, not even the giants of America or Russia, can pursue purely independent policies in defence, foreign affairs, or the economic sphere. Almost 60 years later, one might have thought these issues would have been settled and agreed by now. But it seems some British people (actually, they most often refer to themselves as ‘English’ rather than British) do not accept this idea of sharing some sovereignty for the common good. They want England to have ‘supreme power’, meaning complete sovereign rule over its nation and its people, presumably just like in the ‘good old days’ when England had supreme power over its nation, its citizens and its Empire. For those of us who belong to the modern world, we can see this makes no sense. Britain is part of a planet that increasingly needs to work together with other nations, and working together, means sharing some power and agreeing some rules. That’s our road to more civilisation, safely and prosperity. That, of course, is the great strength of the European Union. 28 neighbouring countries coming together to share power and influence for the common good. It’s a huge success. 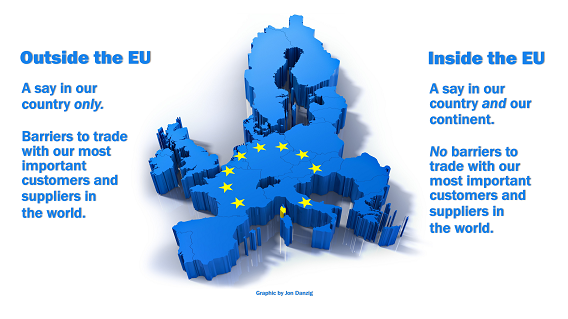 The EU is the world’s most successful economic, trade and political union of countries. No one can deny that the EU is the world’s biggest, richest trading bloc, and that it has considerable influence in the world. Brexit means less sovereignty. In the EU, we gain sovereignty over our continent. In the EU, we have MORE control, not less. Let’s not throw that away by retreating into an island mentality. Having 100% sovereignty – like North Korea – will not make Britain Great. It will make us small. 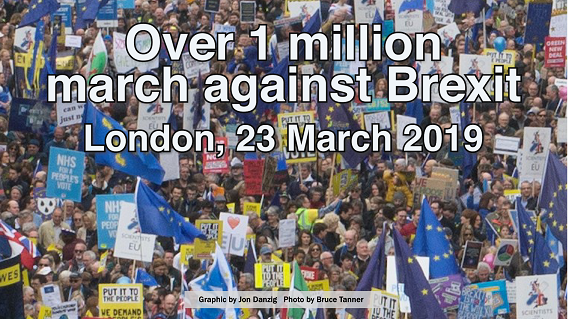 Over a million people marched in London on Saturday, demanding a new People’s Vote on Brexit. The tide has turned. There is now no doubt that Britain doesn’t want Brexit. 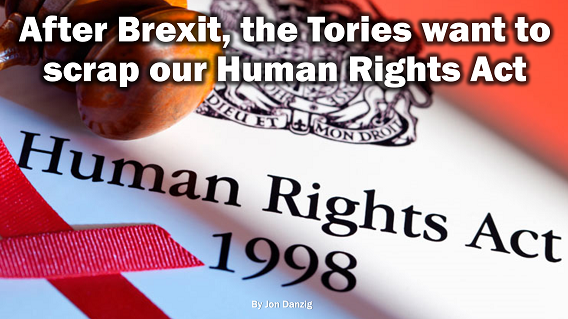 The Tories are planning a bonfire of our rights after Brexit, with the top priority being to scrap our Human Rights Act and replace it with a watered down ‘Bill of Rights’. Being a member of the EU costs us only around 34p a day each. That’s a bargain, especially as the value of EU benefits far outweigh the cost. The Confederation of British Industry has estimated that EU membership is worth around £3,000 a year to every British family — a return of nearly £10 for each £1 we pay in. 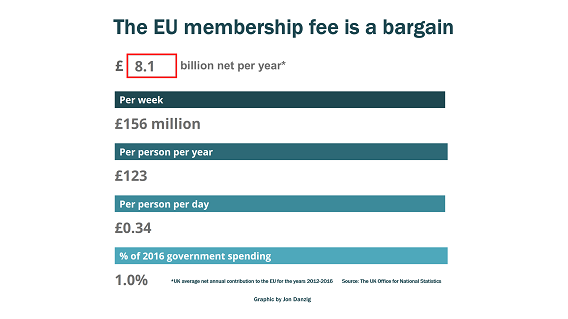 So, in reality, EU membership costs nothing – it makes Britain, and Britons, better off. The calculations for our annual EU membership fee have been published by the UK’s Office of National Statistics. That’s far short of the claim made on Boris Johnson’s campaign bus that we send £350m a week to the EU. That was entirely incorrect. So, we are leaving the EU based on a whopper of a lie (actually, lots of whopping lies). Ok, if Mr Johnson had instead put ‘£156m a week’ on his bus, it would still have seemed a lot of money. But something Brexiters never like to do is reveal how much we get back in return for the membership fee. Back in 2011, this was estimated by the government to be between £30 billion and £90 billion a year – a return of between 800% and 2370%. Can anyone name any other government expenditure that gives a return of over 800%? Let’s put this in another context. In 2016, the government spent £814.6 billion on all aspects of public spending. This means that the net annual EU membership fee represented only 1% of all UK government expenditure. (A miniscule amount). Furthermore, the EU funds many thousands of projects in the UK every year, that our national government would be unlikely to finance. Such as Liverpool’s John Lennon Airport, or superfast broadband in Cornwall. In addition, across Europe, our annual membership fee helps to fund projects that benefit our continent and its people as a whole – such as Galileo, to give Europe its own satellite navigation system. And the Horizon 2020 project – the world’s biggest multinational research programme, funding leading-edge research in all aspects of science and innovation that will directly benefit all EU citizens. Individual European countries could not afford to take on the projects that the EU helps to fund for the welfare and prosperity of its half-a-billion citizens. The advantages of EU membership considerably outweigh the cost of membership. So, why are we leaving? I cannot find one valid or validated benefit for Brexit. Not even one. Indeed, by NOT paying the annual EU membership fee, we will all be poorer, according to the UK government’s own impact assessment reports. Britain may be an island, but we're also part of a continent and a planet. And it’s only by countries working closely together that urgent issues such as climate change can be effectively tackled. What’s the alternative? That Britain retreats into an island mentality, thinking we can go it alone as if we were the only country in the world, the only nation of our continent? 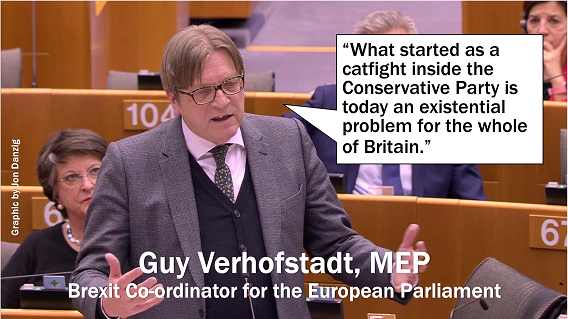 That cannot be the way forward for Britain. Working closely with other countries means agreeing democratic structures to reach decisions that affect us all, regardless of national boundaries. That can’t be done in isolation. That cannot be achieved unless we are a part of that democratic structure, and not apart from it. 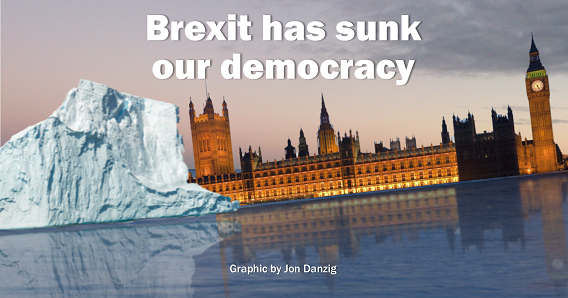 The EU has evolved over the past six decades to provide European countries with a powerful and effective way to reach democratic decisions to enhance and protect all our lives. It’s been a remarkable achievement, of which the UK has been at its forefront for over 40 years. As far as our continent is concerned, there is no other structure that enables Britain to have a say on the running and future of Europe. Outside the EU, we will only be able to look on as decisions that affect us are made without us. And for what benefit? None that anyone can say. Not one. If it’s right to leave the EU and ‘go it alone’ then why stop at the EU? On the same basis, why don’t we leave the United Nations, NATO, the International Monetary Fund, the World Trade Organisation, the European Convention on Human Rights, Interpol, the Commonwealth, and over 14,000 international treaties that the UK has signed up to? Leaving makes no sense. Britain cannot go it alone. Turning our back on the world and our continent will just leave us isolated, alone, vulnerable and without friends and allies just when we need them. International issues need an international approach. And climate change is the biggest international issue facing all of us right now. No single organisation on the planet is doing more than the EU to tackle climate change. Climate change is threatening Europe’s water resources – and Britain is not excluded from that threat. We are affected just as much as any other country on our continent. 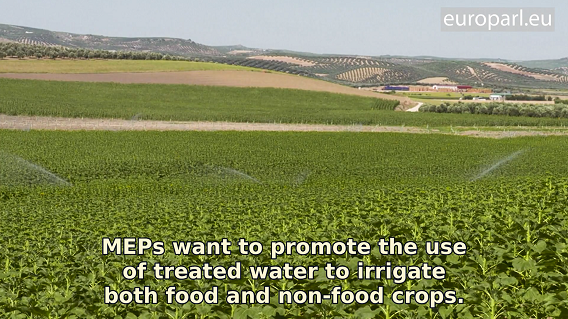 The European Parliament – one of the world’s largest democratic assemblies – wants to safeguard our continent’s freshwater sources by promoting the re-use of water wherever possible. The Parliament is making democratic decisions to push for urban wastewater to be used for irrigation, offsetting the environmental and economic costs of droughts and other extreme weather conditions. Does Britain really want to be on the side lines of our continent, looking on, as these plans and more are made without us? Britain is due to leave the EU next month, without any plans in place. That’s just daft. Actually, it’s more than daft. It’s a dereliction of common sense. Walking out of the door, into the unknown, will not solve anything. It’s not too late to stop the madness of Brexit. Parliament, in its wisdom, could revoke Article 50 right now, and we could keep our place in the EU on exactly the same beneficial terms as we have enjoyed for decades. 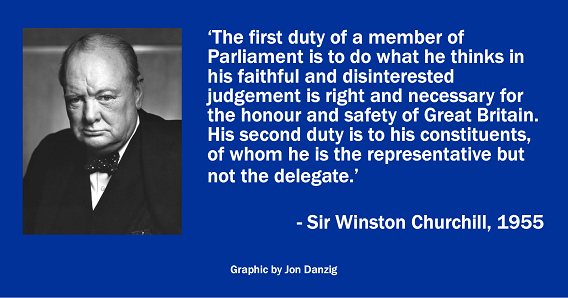 Please, write to your MP today and tell him or her that’s what you want. Over 60 polls since 2017 also confirm that’s what Britain wants. Tell your MP to act on ‘the will of the people’ and arrange for a U-turn on Brexit. It’s urgent. In just a few weeks time, it will be too late.